Make A Supervillain Entrance With The Terry Lifts, The At-Home Elevators | OhGizmo! By David Ponce on 08/12/15 • Leave a comment! Ok, so this is supposed to be for elderly people who have trouble going up and down stairs, and who don’t like the idea of getting a stairlift. 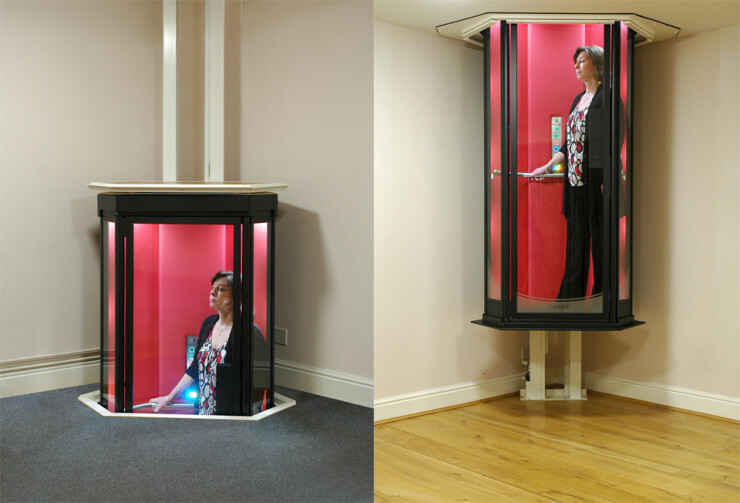 Terry Lifts, from the UK, has a product for you: the Lifestyle Home Elevator. It’s able to carry up to 550lbs, stops at the slightest obstruction, and won’t move unless the door is closed properly. It can also provide the young-at-heart senior with the perfect prop with which to carry on his Supervillain act, allowing him or her to make a grandiose entrance whenever guests have arrived; all that would be missing is a hairy cat. There’s no word on price, though you can be sure it ain’t cheap.